The Kilkenny mens shed have completed the construction of 3 new barn owl boxes. They were designed in line with Biredwatch Ireland guidance and are being erected in wooded areas in the City environs. The project is being lead by the KKB biodiversity group. 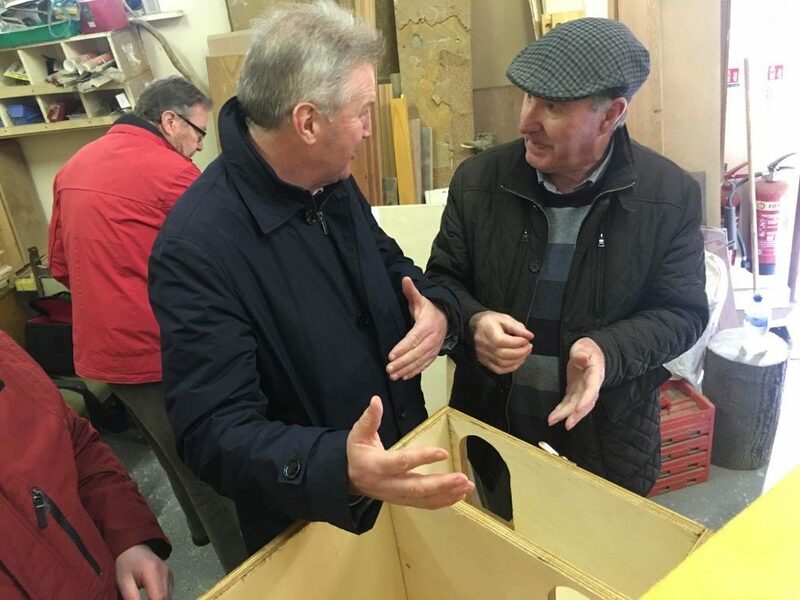 Pat Durkin of Birdwatch Ireland (right) explaining the operation of the barn owl boxes to Simon Walton City engineer Kilkenny Co Co at the launch of the project.